Damase Khasa was born in the Democratic Republic of Congo (DRC) where in 1980 he earned a Bachelor of Science in Biological Chemistry at the University of Kinshasa. He successively earned a Bachelor of Science (1984) in forest engineering and a Master of Science (1987) at Université Laval in Quebec (Canada), carrying out the pioneering work in the DRC (formerly Zaire) on plant symbioses and their use in tropical environments. In 1993, he completed a Ph.D. at Université Laval in Quebec and conducted pioneering work on the genetics of acacias. 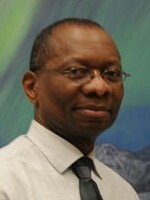 In 1995, he completed a postdoctoral fellowship in molecular genetics of tree populations at the University of Alberta. He has taught at the University of Alberta as a Research Assistant Professor, and since 2001 has taught at Université Laval, where he has served as Director of the Master’s program in agroforestry since 2004 and a Full Professor since 2011. He has also served as Adjunct Professor at the University of Alberta since 2011 and Visiting Professor at the University Mahajanga in Madagascar and the University of Kinshasa in the DRC since 2005. His current research interests are in the areas of integrative ecology of plant symbioses and their use in agroforestry, phytoremediation, and land reclamation; molecular ecology and environmental genomics; and biology of invasive plants. Since 2011, he has supervised or co-supervised 89 highly qualified personnel (HQP) at the undergraduate (24), Master’s (23), Doctoral (22), Postdoctoral (9), and other (11) levels from 21 countries on four continents: Africa (South Africa, Benin, Cameroon, Ivory Coast, Gabon, Kenya, Central African Republic, DR Congo, Senegal), the Americas and the Caribbean (Brazil, Canada, Costa Rica, Haiti, Mexico), Asia (India, Indonesia), Europe (Germany, Belgium, France, Romania, Czech Republic). Damase serves as Theme Lead, Integrated Water Management for the Network Centre of Excellence, IC-IMPACTS, which funds collaborative research between India and Canada.